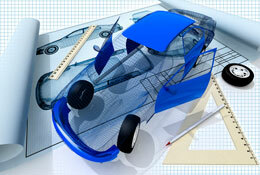 Automotive Industry content publication and distribution service. Publish content on Industry Today including images, videos and web links to direct our audience to specific pages of your website. Content published on Automotive Industry Today will appear in Google News, be shared via the social networks as well as being distributed via RSS to subscribers that have opted to receive the updates from this portal. CRM stands for Customer Relationship Management. In an organization, CRM activities are carried out for managing customer-business interaction. Emission Control Technologies Market is Expected to Grow at a Mammoth CAGR of 7.3% in the Near Future | Key Players are BASF, Clean Diesel Technologies, Inc., Clariant, Cormetech, Corning Incorporated, DCL International Inc. Strict government regulations to curtail tailpipe emission and the rise in automobile production propel the growth of the global emission control technologies market. Increase in sales of electric vehicles and growing demand for energy-efficient sources have fueled the growth of global Wireless electric vehicle charging market.